Detroit is the largest city in Michigan. As of 2005, the population was 886,675, making it 11th largest city in the United States of America. Even so, the population has fallen by more than half since its peak in the early 1950s - at one time the city was the 4th largest in the country. Detroit is known worldwide as a center of automobile manufacturing (hence its two best-known nicknames: "Motor City" and "Motown"), as well as for its music. Apart "Motor City" and "Motown", Detroit has many other nicknames including "Arsenal of Democracy" (which was popular during World War II), as well as "The D", "D-Town", "Hockeytown", "Rock City" and "The 3-1-3" (from the city's telephone area area code). Some of the leading educational institutions in Detroit include University of Detroit Mercy and Wayne State University. University of Detroit Mercy is a comprehensive university, and the largest Roman Catholic university in the state. Wayne State University is a research university with 11 schools and colleges, 350 major subject areas, and more than 33,000 students including both undergraduates and postgraduates. Professional sports franchises in Detroit include the Major League Baseball team, the Detroit Tigers, the NFL American football team, the Detroit Lions, and the NHL ice hockey team, the Detroit Red Wings. 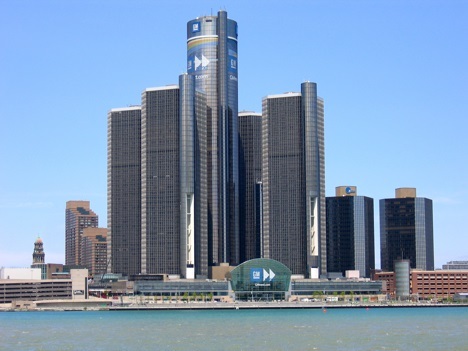 Some of the leading companies with their headquarters in Detroit include Compuware and General Motors. The principal airport for Detroit is Detroit Metropolitan Wayne County Airport. Detroit's nicknames include "America's Automotive Capital", "America's Comeback City", "Arsenal of Democracy", "City of the Straits", "City of Trees", "Hitsville, USA", "Hockeytown", "Motown", "The D", "The Motor City", "The Paris of the Midwest", and "The Renaissance City". “Michigan Baby, I love you so much. My love for you is longer than the Mackinac Bridge and taller than a lighthouse. My love for you is brighter than the city lights and as peaceful as a day in our Michigan forests.” And so it reads in this adorable book about all things Michigan. 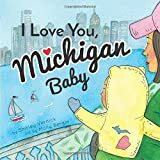 Cuddly and warm illustrations capture the joy and excitement of being a baby in the Great Lakes State, and the loving text and sweet verses make I Love You, Michigan Baby a love letter to all of Michigan’s newborns and tiny visitors alike. Jeff Counts gets behind the wheel to take us cruising the eclectic neighborhoods that comprise the “culture stew” that is Motor City―Detroit. Rand McNally's folded map for Detroit is a must-have for anyone traveling in and around the Detroit area and Southeastern part of Michigan, offering unbeatable accuracy and reliability at a great price. Our trusted cartography shows all Interstate, U.S., state, and county highways, along with clearly indicated parks, points of interest, airports, county boundaries, and streets. The easy-to-use legend and detailed index make for quick and easy location of destinations. You'll see why Rand McNally folded maps have been the trusted standard for years. Detroiters need to get to know their neighbors better. Wait ― maybe that should be, Detroiters should get to know their neighborhoods better. It seems like everybody thinks they know the neighborhoods here, but because there are so many, the definitions become too broad, the characteristics become muddled, the stories become lost. Edited by Aaron Foley, The Detroit Neighborhood Guidebook contains essays by Zoe Villegas, Drew Philip, Hakeem Weatherspoon, Marsha Music, Ian Thibodeau, and dozens of others. This guide provides opportunities for cultural tourism throughout the beautiful state of Michigan. 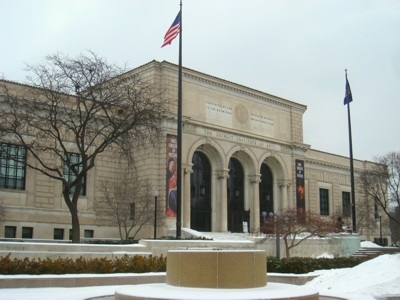 With over 500 historical museums, sites, and attractions, the reader is exposed to Michigan's rich and diverse cultural history - which is much more than the automobile. The book also lists historic inns and provides lodging choices beyond the modern hotel or motel.